PDF Page Delete permite a los usuarios dividir y eliminar páginas de archivos PDF. El programa puede eliminar las páginas PDF que seleccionó y guardar el resultado en un nuevo archivo PDF, o dividir cada página PDF en un solo archivo PDF. Además, el programa puede funcionar como un separador de PDF. Podría dividir las páginas PDF por el rango establecido. Por ejemplo, podría dividir y guardar cada 5 páginas PDF en un nuevo archivo PDF si configura las páginas divididas en 5. AutoClose is a handy freeware tool enables you to close programs on Windows at a scheduled time. With AutoClose you can also set the PC shut down, log off, hibernate or reboot your computer after close programs. 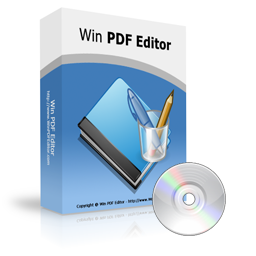 Win PDF Editor is a useful PDF modification tool that allows users to delete and add text or images on PDF files. You could also annotate on PDF pages like drawing lines or shapes. A tiny PDF tool that compresses PDF files and reduces PDF file size fast and easily. This tool allows users to change the compression ratio to get better PDF display result and quality. It supports batch mode and lets users compress dozens of PDF files at one time. With .pdf manuals now coming out in many different languages combined into one document, this could be helpful in keeping your own language's pages without having to go through the rezst. 57% down votes, but no comments. I don't need this, but I can see a need for it for some people who deal often with .pdf files. I guess some down votes just mean I don't like you offering this kind of software. That doesn't help. I've been using PDF Candy, a free suite of 35 PDF utilities that include split, merge and "from and to" format converters . I also use Foxit PDF reader, a free PDF reader, that lets you do many other functions like fill in forms with a typewriter function. I highly recommend both. Works just fine... but leaves a *very* apparent and obnoxious bright red watermark on each and every page. There are plenty of online services that can delete pages for free, search them out and use them. Works just fine... but leaves a *very* apparent and obnoxious bright red watermark on each and every page. There are plenty of online services that can delete pages for free, search them out and use them. I have Adobe Acrobat Pro and I use the Page Delete fairly often. It is a useful feature to me, especially when combined with the redaction feature so I can reduce a file to only the exact content required. 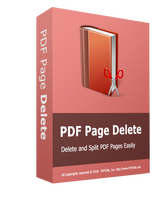 If dealing only with full pages, then this PDF Page Delete program could be useful to those without Adobe Acrobat.